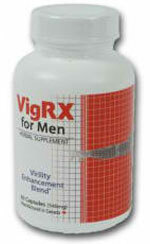 Rexbull is an existing or a previously available male enhancement supplement that makes or made the same claims as other herbal sexual enhancers. While information on this product is no longer readily accessible, Rexbull left a trail of indicators of its performance and market record. Here’s the Rexbull summary we have tried our best to come up with and make as accurate as possible. List of Ingredients: Claims a completely natural formula, but the full or even partial list of ingredients are no longer available. 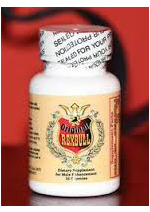 Product Features: Rexbull is probably reminiscent of Red Bull, the popular energy drink. The two, however, should never be confused and interchanged, as Red Bull works for enhancing energy and performance and does not touch on sexual function, which Rexbull claims to be an expert of. Another thing is that Red Bull contains a good taurine amount, which the male enhancer Rexbull does not. 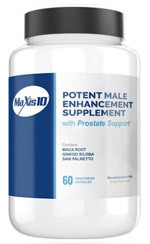 From what is left of Rexbull information on the World Wide Web, it is quite clear that this male enhancement product also promises improvements in erections, stamina, and the overall sexual performance of men. 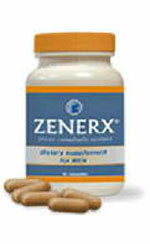 It is not established, however, how this is done or what mechanism of action makes the benefits possible. We can fairly establish at this point that Rexbull is no longer available – the official website is no longer traceable, as well as the list of ingredients and any clinical findings. What is left is a remarkably varied number of customer complaints on the shipping, delivery, and on product performance itself. This is a fair warning if you are seeking high quality sexual enhancement – always do rigorous research before buying anything, and never fall for any fly-by-night operations, which Rexbull seems to be (or had been) all about.